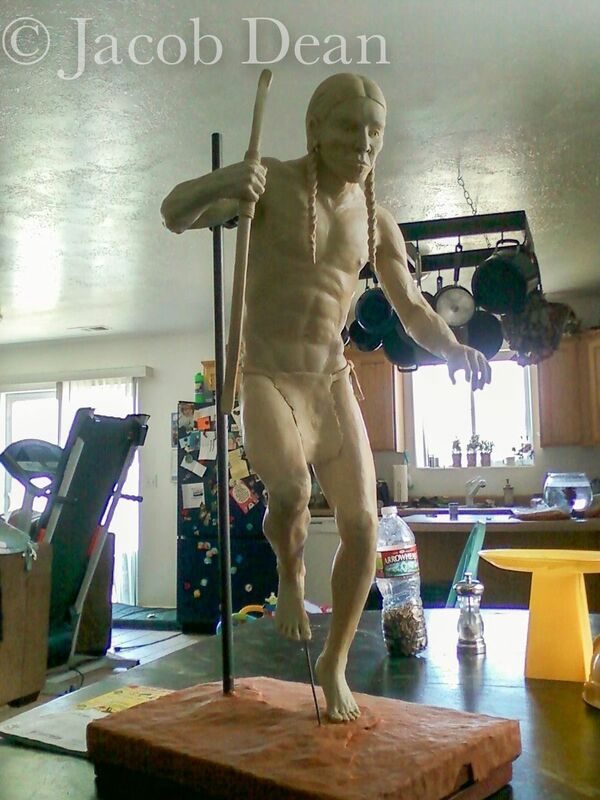 This piece is sculpted in clay and stands 28 inches. It is a maquet for a much larger deliberation. 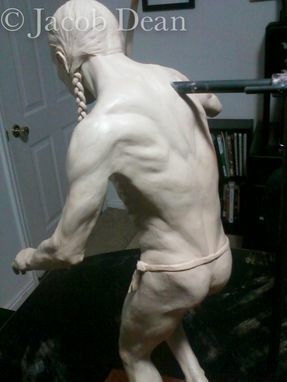 I have carefully sculpted this piece to conform to all the Neo-Classical guidelines and Policlytus positioning. 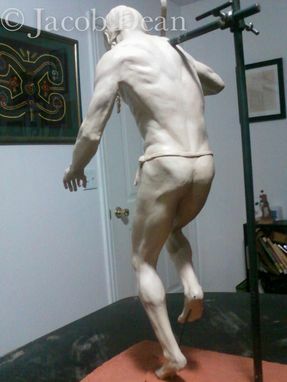 I think that a true Neo-Classical figure has never been sculpted out of fabricated steel and I propose that this be the first. 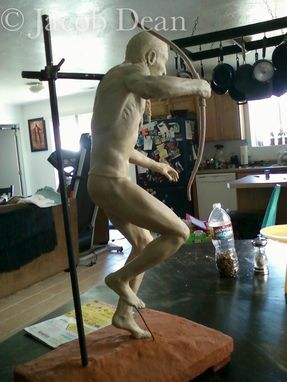 I seek a patron to finance the sculpting of this figure at 250 percent life size. That is 14 ft tall. It would be about an 80,000 to 100,000 dollar project. 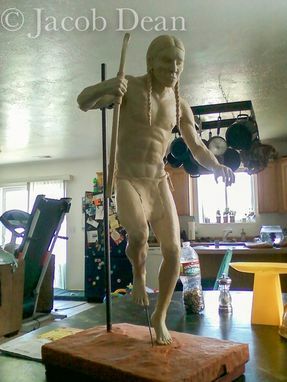 The details of the pose, and how it fits with the actual culture of the Native American Paiute, are worth discussing with the interested financier.